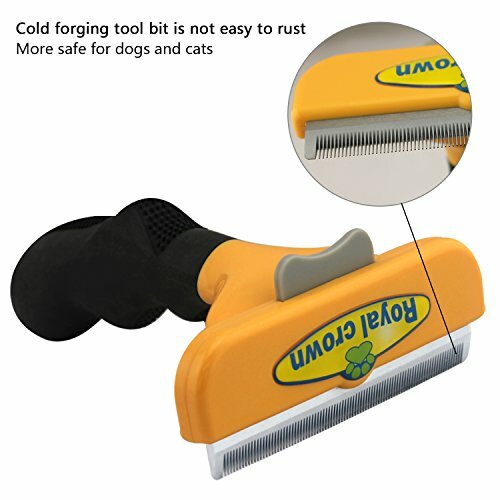 Reduces shedding by up to 90% with 4-inch stainless-steel edge! No more hair on your floor or clothes! Avoid the hairballs in your car and on your furniture. NEW long hair stainless steel edge reaches deep beneath your pet’s long top coat to safely remove undercoat and loose hair faster and easier. 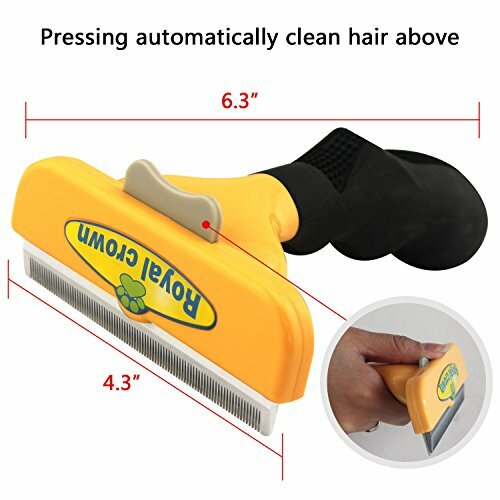 FATCHOI button cleans and removes loose hair from the tool with ease. 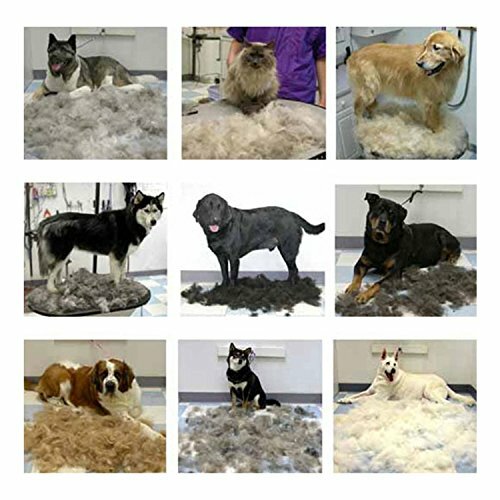 BENEFIT 1# – Grooming is Proven to be healthy for dogs & cats. 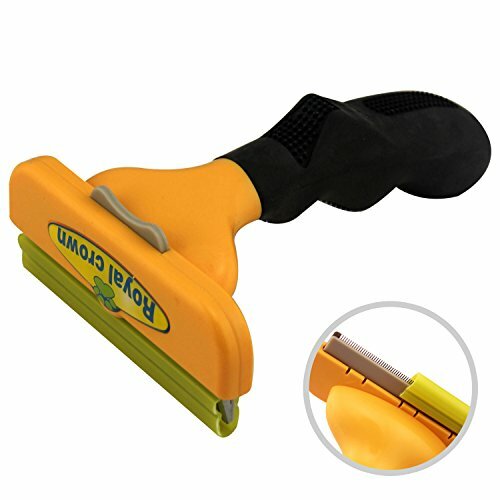 Daily grooming The use of our slicker brush will allow you to see skin problems early on. Walking around with that excess hair can be stressful for an animal..it also helps to get at itches and other discomforts that your cat or dog may not be capable to reach. Grooming will keep your cat’s or dog’s coat shiny and smooth. In cats, regular grooming will also decrease the frequency of hairballs (cat vomiting). 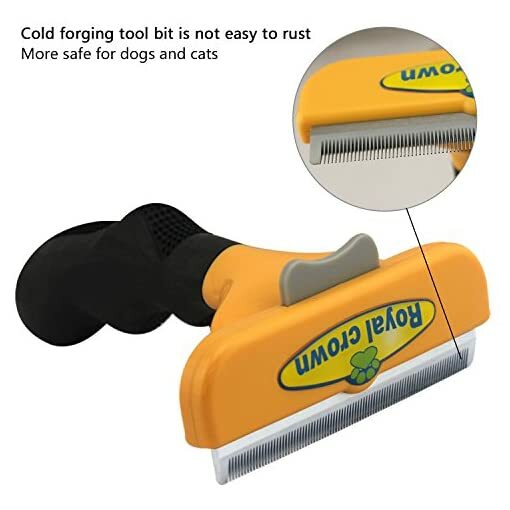 This is because your cat won’t have to self-groom as much. 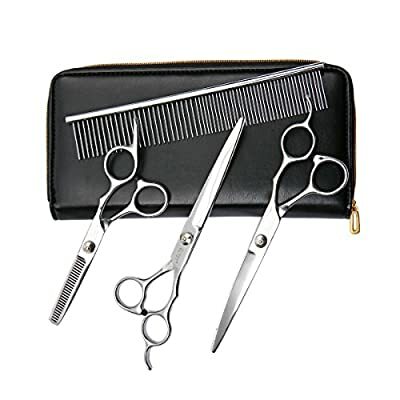 BENEFIT 2# – Grooming The use of Our Tool Will Save You Money! 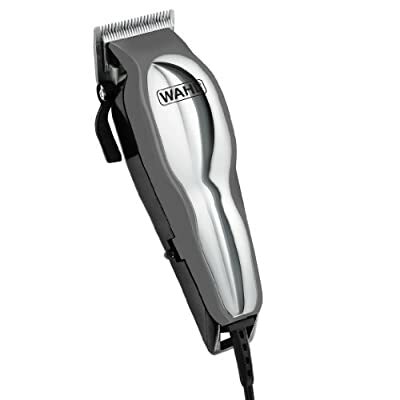 By reducing the amount of loose hair, You’ll have less damage to your furniture, clothes, carpet etc. 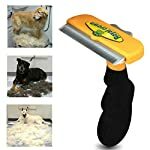 You’ll save on professional grooming fees! BENEFIT 3# – You & Your Pet Will be Super Comfortable! 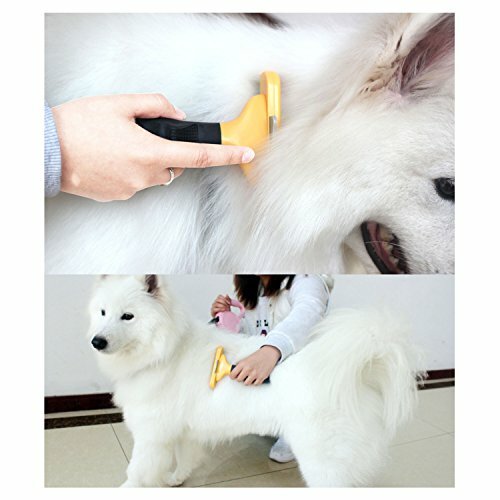 Our dog & cat hair brush is designed to snugly fit into your hand..You’ll love how easy it is to use! Your Pet Will Find it irresistible..It has been designed to be as comfortable as imaginable on your pet’s coat. If you aren’t happy within 60 days we will be able to refund or replace the product. DISCLAIMER – This brush must not be used on cats/dogs that do not shed fur. Ergonomic handle makes the too easy to use. Leaves a shiny and healthy topcoat. 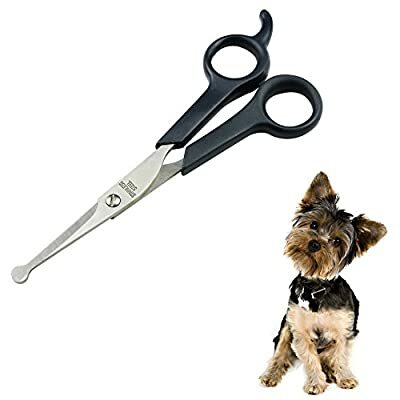 Used on Small, Medium & Large Cats & Dogs, that have short, medium and long hair.